An Italian boxer, Christian Daghio, has passed on after he was thumped oblivious amid a battle in Thailand. 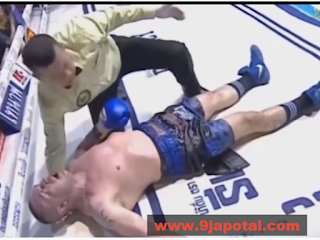 The 49-year-old, who had won seven world titles amid his vocation, was thumped out twice in the last round of his WBC Asia title battle against Don Parueang a month ago, reports Metro UK. After his second knockdown, Daghio was instantly treated by medicinal staff inside the ring however didn't get up. He was in this way taken to doctor's facility in Bangkok where he burned through two days in a state of extreme lethargy before he kicked the bucket. He passed on as he needed to kick the bucket,' Daghio's sibling, Fabrizio, revealed to Il Resto del Carlino. "I have no second thoughts since he was that way. He said he needed to battle until the point that he was 80." "The ring was his life and he passed on as a hero. "My sibling had a sweetheart in Thailand and a five-year-old young lady," he included.